Cydcor’s volunteer medical mission team. 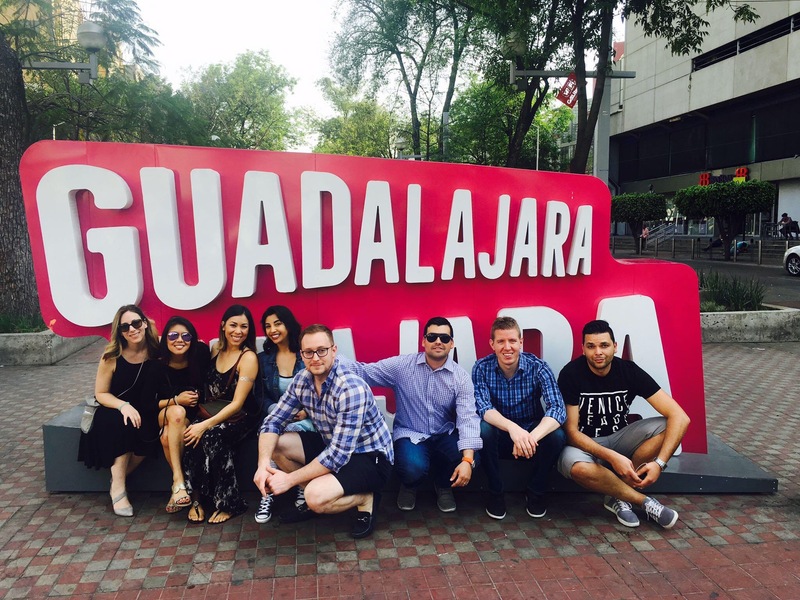 On March 8th, 2017, a team of eight volunteers, including top fundraisers from our network of independent sales offices, as well as a Cydcor team member, returned home from their life-changing medical volunteer trip to Guadalajara, Mexico. There, they worked alongside a dedicated Operation Smile team of volunteers for an adventure they will never forget. While on the mission, volunteers Amanda Tram, Ben Gouwens, David Espinal, Donny Boyer, Melissa White, Mouad Alami, Sandra Tejada, and Yesi Andrade assisted the Operation Smile medical team by attending patient screenings, escorting patients to their surgeries, entertaining children and their families as they wait for their procedures, and reuniting families with their children post-op. 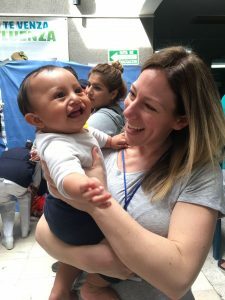 While these much-needed surgeries can transform the lives of children who may not have been able to eat or speak properly prior to having the procedure, or who do not attend school for of fear of being teased, participating in the medical missions and witnessing children’s emotional journeys can often have a profound effect on the volunteers as well. Volunteer Melissa White cares for a patient on Cydcor’s fifth medical mission volunteer trip with Operation Smile. “There is one moment of the volunteer trip that will be etched in my mind forever. Alejandra, the little girl we fell in love with, had a pretty severe cleft lip and was very aware of how she looked, despite being an extremely happy child. When she came out of surgery, I used my phone to show her what she looked like. She stared at herself for a couple seconds as if she didn’t recognize herself, until she gave the sweetest smile I have ever seen. My heart melted. The trajectory of her life at that moment was changed forever!” said Melissa White. “I am impressed by the courage and strength these kids have. I was very touched by Paulina, an 11-year-old who traveled with her brother from far away in hopes of getting the surgery that would restore her smile. I can’t imagine everything going through Paulina’s head; first time out of her village, seeing a big city for the first time, not being able to understand anyone but her brother. The most incredible moment was seeing her look at herself for the first time. She was in shock, almost confused. A few minutes later, you could see tears rolling down her cheeks. I could not stop crying, I will remember that moment forever,” shared Cydcor team member Yesi Andrade. In addition to our corporate volunteer program, Cydcor has been partnering with Operation Smile on fundraising initiatives since 2010. Cydcor holds an annual Day of Smiles event, along with many other fundraising events throughout the year, to help provide free cleft lip and cleft palate surgeries for children from low and middle income countries. With the support of more than 3,000 dedicated volunteers from our network of more than 375 independent sales offices, we have raised more than $800,000 to date. That’s enough to bring smiles to the faces of nearly 3,500 children. Operation Smile’s vision of a world where no child suffers from lack of access to safe, well timed, and effective surgery fits well with the values of our business. “We are a people helping people business, and it is evident from the way Operation Smile treats their patients, the community, and their volunteers that they are as well,” said Donny Boyer. “What unites us all is the shared belief that we have an obligation to provide people with an opportunity to lead a better life. This extends far beyond the boundaries of our business, to helping people in our communities and in faraway places.” Said Cydcor President, Vera Quinn. Cydcor continues our commitment to helping Operation Smile change lives through both our corporate volunteer program and fundraising efforts, and we look forward to achieving $1 million dollars raised on the organization’s behalf. To learn more about Cydcor and our support of Operation Smile, please visit our donation home page. Learn more about Cydcor on Facebook, Twitter, and LinkedIn. We are Cydcor, the recognized leader in outsourced sales services located in Agoura Hills, Calif. From our humble beginnings as an independent sales company to garnering a reputation as the global leader in outsourced sales, Cydcor takes pride in having exceptional sales professionals and providing our clients with proven sales and marketing strategies that get results.